English plays a major role for those who are preparing for SSC CGL Exam (both Tier-I & Tier-II). There is an entire paper in Tier 2 based on English with 200 questions. The paper is of 200 marks with each question carrying 1 mark and there is also a negative marking of 0.25 marks. Candidates who are able to score good in this paper along with mathematics paper are sure to be selected for SSC CGL. But the one problem with students is that they don’t give importance to English. They feel it is not something to be learnt by studying or at other times they are too focused on preparing mathematics that they ignore English all together. Students who are good in spoken English feel that there isn’t much to study in English but the only thing that they don’t realize is that spoken English is far different from written. English has been evolving since years and at present the spoken English has more of slangs in it. People don’t tend to stick to the rules of grammar and students aren’t aware of this difference. Hence it cannot be relied upon for the examination. 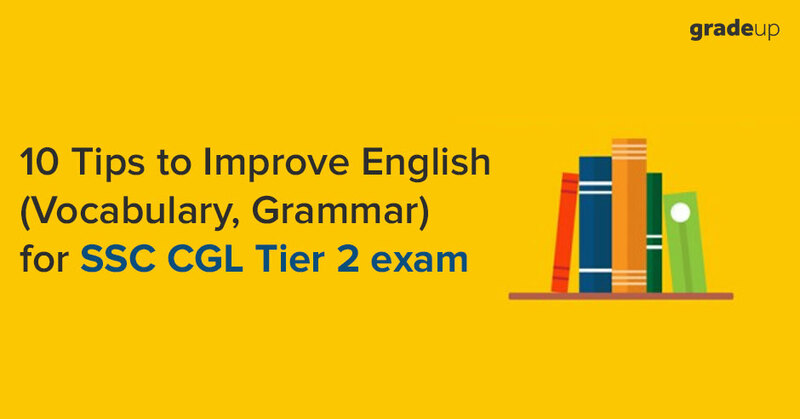 Here in this article we will understand how we can study English according to the need of the SSC CGL Tier 2 exam and prepare ourselves for it. 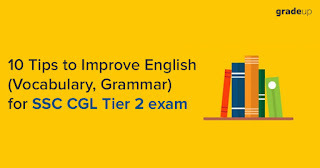 The English paper of SSC CGL Tier-II exam broadly comprises of Vocabulary, Grammar, Reading Comprehension and Verbal ability. ● Vocabulary consists of synonyms and antonyms, phrases and idioms, one-word substitution, spellings, fill in the blanks, phrase replacement and an additional topic of cloze test. ● Grammar consists of error spotting, phrase replacement, fill in the blanks, direct and indirect speech, active and passive voice, basic grammar rules and questions test. ● In the reading comprehension there are direct questions based on the content of the given passage. They may vary from five to six. ● And lastly the verbal ability section mainly has Para jumbles or sentence jumbles as we may call it. From the above-mentioned contents you must have got an idea that English in SSC CGL is not an easy nut to crack and hence one needs to have a plan. The first thing that one has to remember is to be serious about English and not to underestimate its content. There are several books available in the market for English but make sure you pick the most reliable one. Many a time there might be slight contradictions in grammar rules but make sure you stick to one book and don’t confuse yourself. Plinth to Paramount and Objective General English by S.P. Bakshi are considered to be good books for preparing all sections included in English. Because of the sole reason of not understanding the worth and importance of English students tend to devote less time to it. But this shouldn’t be the case. At least two to three hours must be spent on English on a daily basis. One habit that has to be inculcated by the students is that of reading. Reading will basically help in the vocabulary section and also in reading comprehensions. A student can read newspapers, reputed magazines or even books as per their choice and convenience. Reading will help one is developing a good vocabulary. Keep a diary or a notebook handy and always make note of new words that you come across along with its meaning, antonym, synonym and usage. The habit of reading will also prove beneficial in attempting reading comprehensions. As the more one reads the faster one becomes in understanding the meaning of the contents. Minimizing the time and maximizing the output is what one should be aiming at. This section demands a little extra effort from the students. One should study the basic rules of each topic and memorize them. These rules come handy in error spotting and fill in the blanks. Someone has rightly said that there is no shortcut for success and English is one subject that is built on it. Ones a student is done with basics they should always practice the questions related to the topic. And after completing two three topics a mixed practice of questions should be done to get a clear picture of one’s knowledge and understanding. Whether it is grammar or vocabulary revision is necessary. If one doesn’t revise what one is studying, chances are very high that one might just forget everything. It is suggested that vocabulary should be revised on a daily basis and grammar rules ones in every week. As English is not a subject that can be prepared in a day. There are around 45 to 50 questions from active and passive voice and direct and indirect speech alone in tier 2 examination. Hence a student is required to prepare these topics diligently. Any shortcuts are not advised here. In SSC CGL there is a high chance of grammar and vocabulary being repeated. So, a student must always review and attempt the previous year papers and also note the vocabulary in their diary because of its high chance of reappearing in their own examination. Mock tests play a very vital role in English along with the other subjects. Mock tests help one to understand the nature and level of examination. They also helps one to prepare and every mock tests has a new vocabulary to offer which in turn is like a bonus for students as they don’t have to dig much for finding new words. Also, with the help of mock test one can judge their level of English and strive hard. Always concentrate on your weak parts rather than feeling content over your strong ones. If you are determined for success then English will be the weapon, which will help you win. 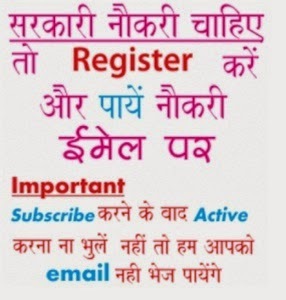 Download SSC CGL app for free study notes, mock test, quiz, and previous year question papers of SSC CGL exam. Download our NCERT Solutions App which we have launched recently for Class 6 - Class 12.